The fruit size is similar to that of Lane Late navel under similar crop load conditions.The fruit has an average of 11 segments per fruit. The average fruit diameter is 85mmmm. Fruit mass of 200 – 270g .Chislett retains its fruit flavour for longer than most of the other late navels. Time of maturity is later than Lane Late navel by 3 – 6 weeks.The variety has a higher juice content than Lane Late. The juice contains low limonin and consequently can be used for juicing purposes as well as it does not manifest a bitter fraction after 24 hours unlike other navels. If Chislett is stored in the refrigerator, take it out and leave it at room temperature to increase its flavour before eating. 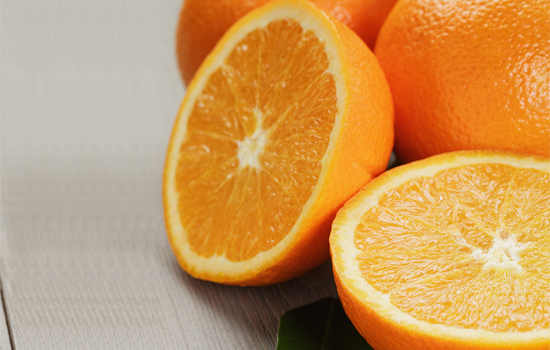 Wash oranges thoroughly before cutting.